TORONTO, ON – The new issue of the Canadian edition of Original Gravity magazine – a spin-off of the UK publication of the same name – is now available. Issue 2 of the quarterly publication includes articles, features and reviews by contributors including Lauren Richard, Sam Calagione, Maggie Beaumont, Jordan St. John, John Szabo, and editor Stephen Beaumont. 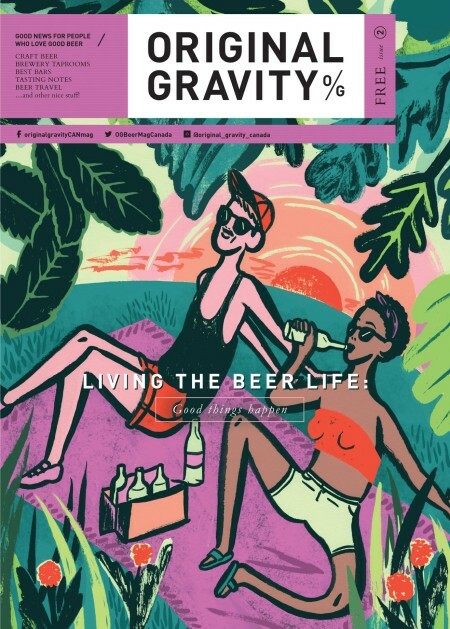 Original Gravity Canada is a free magazine distributed at brewery taprooms and beer bars in Toronto and area. The new issue will also be available soon online via the Issuu platform. For more details, see the Original Gravity Canada Twitter feed.